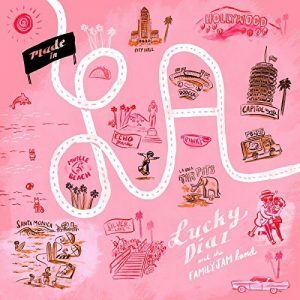 The newest album from Lucky Diaz and the Family Jam Band, Made in LA, is a joyous celebration of their home base, Los Angeles. Joined by fellow children’s artists Mista Cookie Jar, Andrew and Polly and Frances England, Diaz and his wife Lishy Lou (Alisha Gaddis) create a great mix of songs specific to LA as well as those that are easily relatable to children no matter where they live. A delightful picture of LA is painted with songs such as the airy “Silver Lake Stairs,” the ethereal “Echo Park,” and the kindie rock “Fiesta De La Brea.” The title track “Made in LA” includes shout outs to all of the people and things that make LA, L.A. and contains uplifting lyrics such as, “Hey-ey we are made in LA. We come from different places but come together as one.” And then there is “Paletero Man,” a catchy tune about the Mexican ice cream man selling frozen treats from his push cart. Check out this article from Billboard about this bilingual immigrant anthem and take a look at the video below. 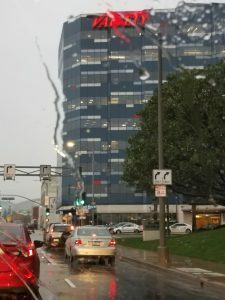 The tracks “Traffic” (which there is a LOT of in LA) and “When It Rained” (which happens so seldom, it’s mythical) really resonated with me after having visited LA for the first time this past February. Coming from the depths of a Chicago winter, I was really looking forward to the warmth of California. In my vacation state of mind, I wondered, how bad could traffic in LA be? And then we landed. No matter where you live, this album will be in high demand from every member of the family!